WASHINGTON, D.C., February 6, 2019 – Diane Oakley, executive director of the National Institute on Retirement Security, testified yesterday before the U.S. House of Representatives Ways and Means Committee at a hearing, Improving Retirement Security for America’s Workers. Oakley provided committee members with an overview of the fundamental changes to the nation’s retirement system that have made it increasingly difficult for Americans to prepare for retirement. She discussed how the disappearance of pensions and declining workplace retirement plan coverage means that Americans have a dim retirement outlook. She also provided insight on how the deep retirement savings shortfall means that many Americans will face the prospect of continuing to work well into their 60s, a substantially reduced standard of living, and/or the need to turn to families or government for financial assistance. Ultimately, the inability of older Americans to be self-sufficient after a lifetime of work will have negative impacts on the U.S. economy, government budgets and families. The testimony will provide committee members with insight on bold actions that can be taken to improve the retirement outlook for working Americans. Having a reliable source of income provides retirees with financial security and predictability, In particular, Social Security and DB pensions provide a stable monthly income that does not fluctuate during an economic downturn, and retirees can consistently maintain their level of spending. When retirees spend their retirement checks, this supports economic activity in local and national economies. In fact, when retirees spent the $578 billion they received from DB pensions in 2016, this spending supported the jobs of 7.5 million other Americans(Boivie). NIRS also found thatAmericans have continued to work beyond traditional retirement ages, and income from wages has become an increasing source of household income for older Americans, especially in the years between ages 65 and 69(J. Brown, et al., 2016).The Elder Economic Security Standard Index (Elder Index), which is a benchmark developed by Gerontology Institute at the University of Massachusetts Boston, reflects the cost of basic living expenses and falls above the poverty level set by the U.S. government. NIRS used the Elder Index to measure how well the median income of older Americans can meet the basic living needs. Calculated for both individuals and couples, the Elder Index’s expense estimates vary depending on home ownership status. For example in 2013, the Elder Index indicates that $24,024 was needed for a single renter to meet basic expenses and $34,920 would be needed for a couple (Gerontology Institute).NIRS found that the median household income was $48,280 for males and $35,810 for females among Americans over age 65 using 2013 data from the Survey of Income and Plan Participation (SIPP)(J. Brown, et al., 2016). The ability to save for retirement directly through an employer’s payroll when combined with automatic enrollment can transform coverage levels. (Jeszeck,2017).Access to employer-sponsored retirement plans among private sector wage and salary employees age 21 to 64 has fluctuated between 50to 60 percent during the last several decades according tothe Current Population Survey(CPS). Access reached a high point in 1999 when 60.4 percent of private employees worked for employers that offered retirement plans. However, after the 2001 recession and 2008 financial collapse access to retirement plans declined in the private sector and reached its lowest level with only 50.9 percent of workers having access in 2014 (J. Brown, et al., 2018). In comparison, access and coverage rates in the public sector are nearly universal. Moreover,93 percent of full-time employees participate in a public DB pension with only six percent participating in a DC only plan(Jeszeck, 2017).When today’s workers, who more likely participate in a retirement plan with individual accounts in a 401(k) or other DC retirement savings plan rather than in group DB pensions, decide to retire, they will rely on the assets in those DC accounts and not the predictable monthly retirement income pensions pay to most current retirees. Retirement in America | Out of Reach for Most Americans?, which finds that the median retirement account balance among all working individuals is $0.00, and that 57 percent (more than 100 million) of working age individuals do not own any retirement account assets in an employer-sponsored 401(k)-type plan, individual account or pension. Latinos’ Retirement Insecurity in the United States, which finds that only 31 percent of working age Latinos participate in workplace retirement plans, resulting in a median retirement account balance of $0. Millennials and Retirement: Already Falling Short, which finds that this generation is far off-track when it comes to saving for retirement, and that 66 percent of working Millennials have nothing saved for retirement. Retirement Security 2017: Americans’ Views of the Retirement Crisis, which finds that 76 percent of Americans are concerned about their ability to achieve a secure retirement, and some 88 percent agree that the nation faces a retirement crisis. Shortchanged in Retirement: Continuing Challenges to Women’s Financial Future, which finds that women are 80 percent more likely than men to be impoverished at age 65 and older. The full body of research is available at www.nirsonline.org. 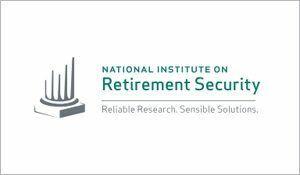 The National Institute on Retirement Security is a non-profit, non-partisan organization established to contribute to informed policymaking by fostering a deep understanding of the value of retirement security to employees, employers and the economy as a whole. Located in Washington, D.C., NIRS’ diverse membership includes financial services firms, employee benefit plans, trade associations, and other retirement service providers. More information is available at www.nirsonline.org. Follow NIRS on Twitter @nirsonline.